March 5, 2019  Recommended if you like Father John Misty, Band of Horses and Rogue Wave. March 29, 2016  The Band Of Horses guitarist shows the World Cafe team around town and performs a solo session at Echo Mountain Studios. July 24, 2008  The facile finger-picker can apply his stamp to ragged blues plaints and folky instrumentals alike. 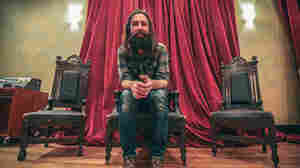 It's no surprise that the indie-rock group Band of Horses asked Ramsey to come along on tour — as both its opening act and as its new guitarist. February 5, 2008  Tyler Ramsey's music showcases a thoughtful approach to his craft. Ramsey says that his experiences growing up in the mountains of North Carolina — a common path for traveling blues musicians — inspired him to incorporate a variety of folk styles. 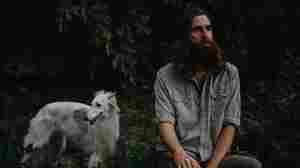 December 3, 2007  Tyler Ramsey's music showcases his thoughtful approach to instrumentalism and lyricism. Ramsey's experiences growing up in the mountains of North Carolina — a common path for traveling blues musicians — had inspired him to incorporate a variety of folk styles.